By Melissa Lennig on July 6, 2015 4 Comments. This content contains affiliate links. As an Amazon Associate I earn from qualifying purchases. STEM is an acronym referring to science, technology, engineering and mathematics. My oldest son attends a STEM magnet school and really enjoys his weekly Design Challenges. In a STEM Design Challenge, students are presented with a task/problem and are given limited materials to create a solution. 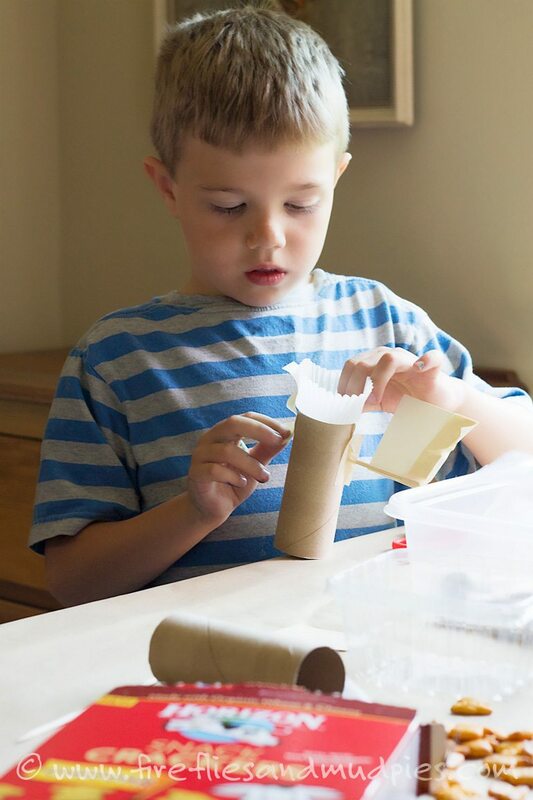 Design Challenges invite children to become imaginative, innovative problem-solvers. They also give children the opportunity to collaborate with peers and practice leadership and communication skills. 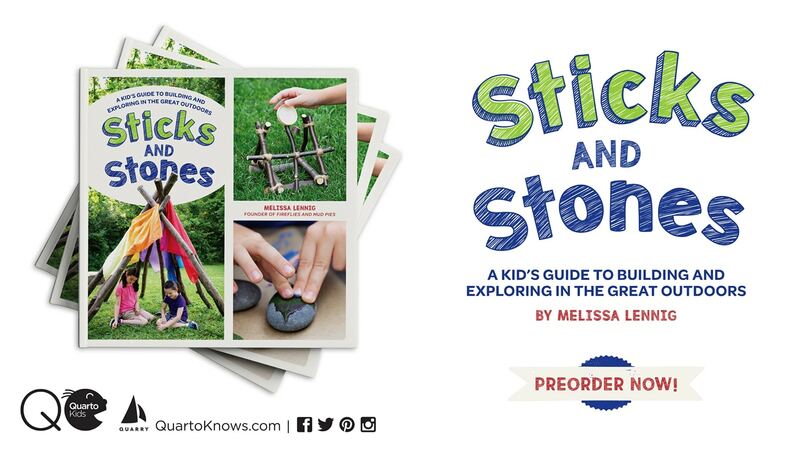 Both of my boys really connect with this technical, hands-on style of learning, so I want to give them the opportunity to keep designing outside of the classroom. 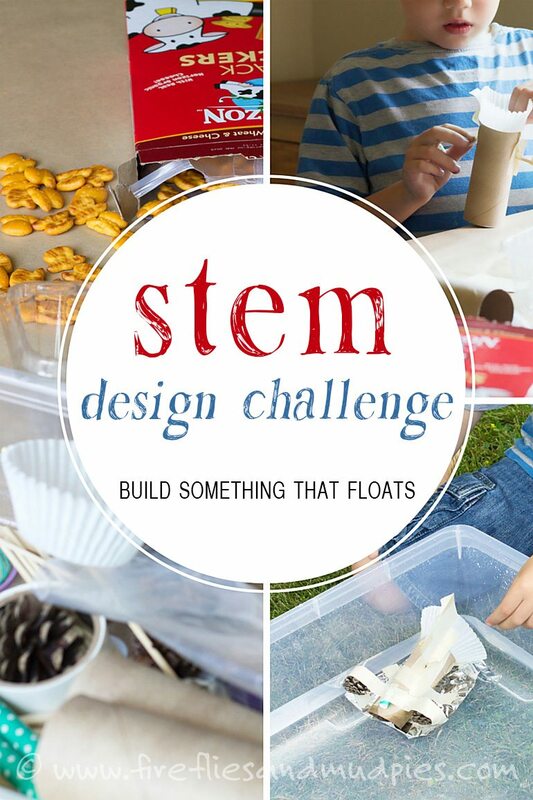 I’m thrilled to partner with Horizon to bring you the premier of our STEM Design Challenge Series! 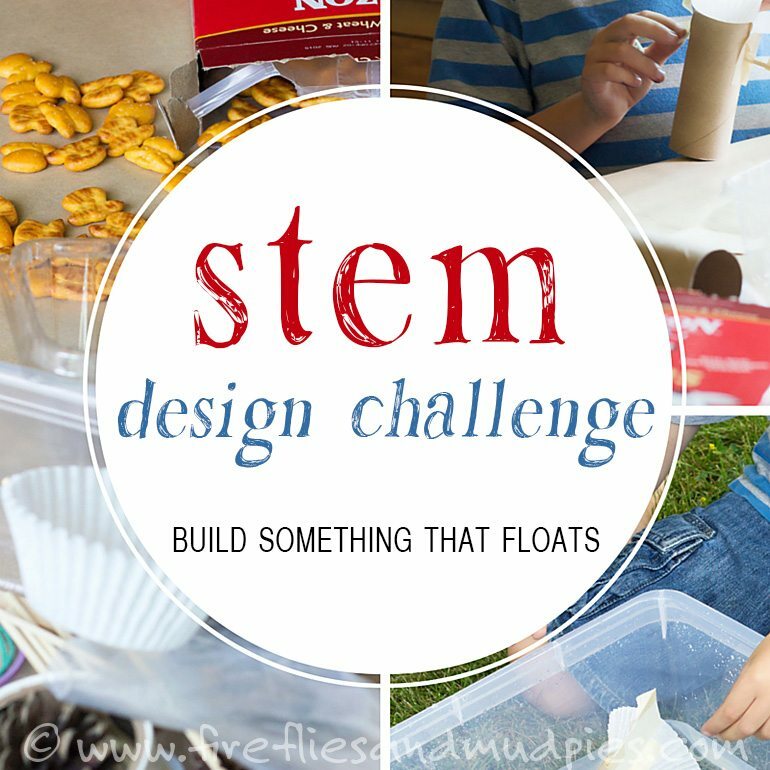 In our first challenge, we build something that floats. Did you know that munching on crunchy food can increase productivity, concentration, focus, and relaxation? 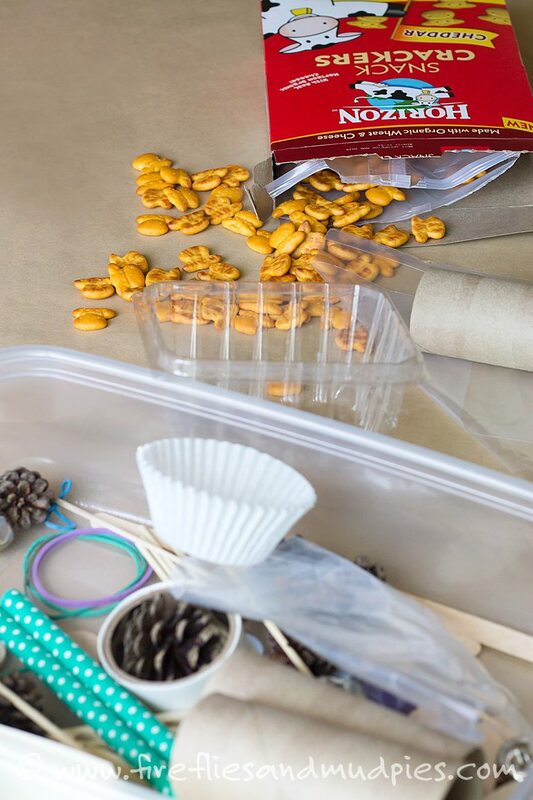 To support oral sensory input and promote a calming atmosphere, I left an open box of Horizon Cheddar Snack Crackers on the table. The boys loved snacking as they skillfully created their designs! First, decide which materials to provide for the challenge and if there will be any stipulations (i.e. 4 inches of tape/child). 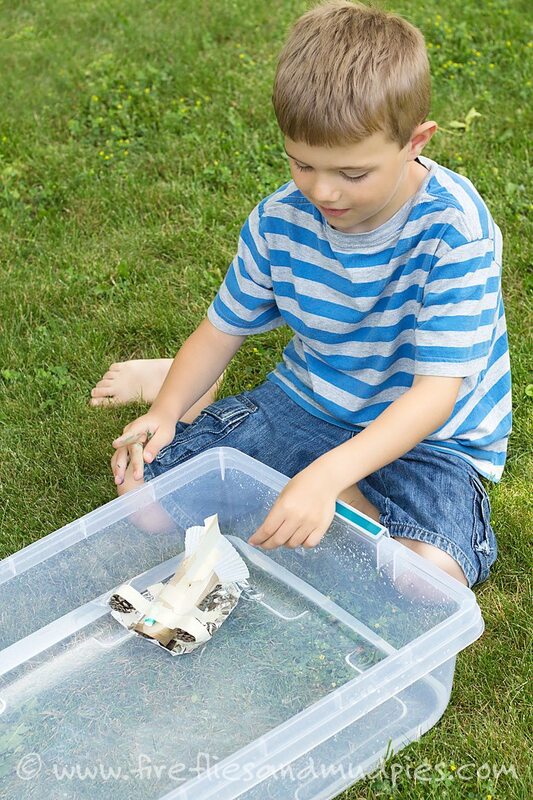 Next, I invited my children to “build something that floats.” They were up for the challenge and quickly got to work! I decided to refrain from giving advice or input about their designs. I’m so glad I did, because my youngest son surprised me! Initially, his design consisted of paper products. 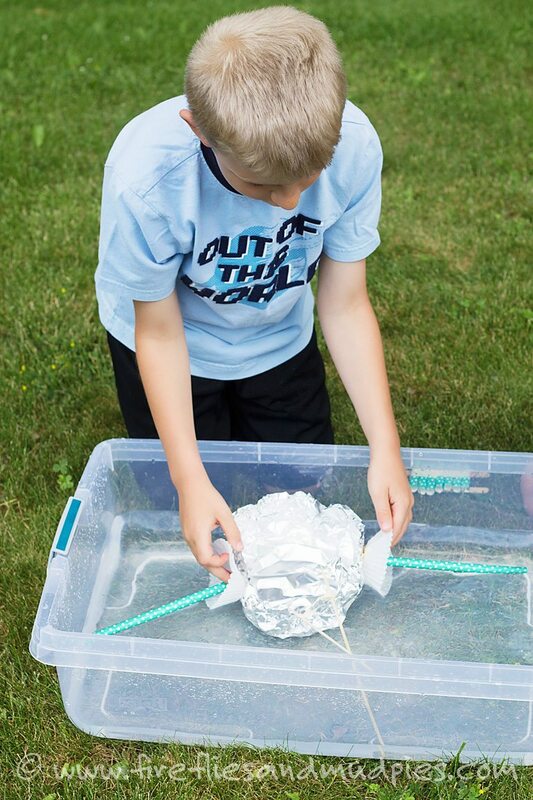 As he was finishing his design, he taped his paper structure to a curved piece of aluminum foil so “it would be waterproof.” If I had critiqued his choice of materials in the beginning, I would’ve missed the opportunity to see his original design, as he planned it from the start! What a creative mind! When the boys finished their designs, we took them outside for a test. Would they float…or sink? Their designs were a success! Horizon is passionate about fueling the bodies and feeding the imaginations of young people. You can connect with Horizon on Twitter, Facebook, Pinterest, and Instagram. 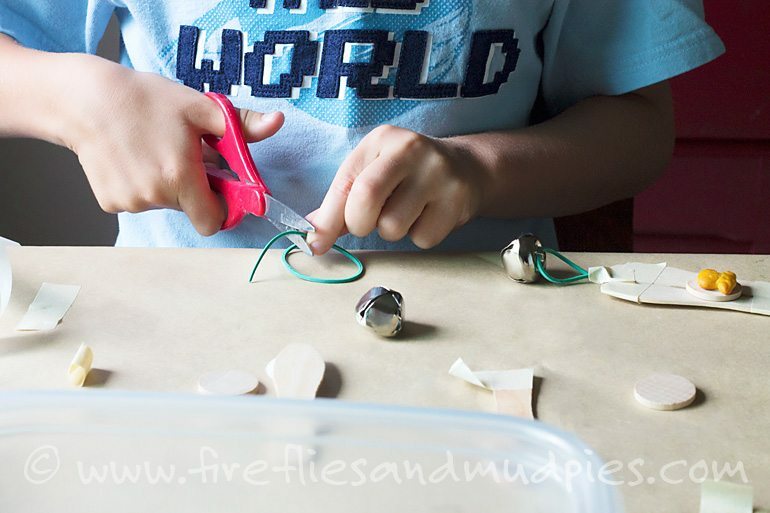 What a great summer time STEM idea…and snack! YUM! What a fun way to spend time together and I never thought fo the fuel that snacks provide like that! Love this idea! Such a great creative thinking challenge!